The problem of evil (“If God is all-good and all-powerful, why is there evil and suffering in this world?”) has for good reason been called the Achilles’s heel of Christianity. I agree with various Christian authors that we actually do not have an “answer” to the problem of evil; yet, we have various truths and clues which can help us, if not solve this problem, come to accept it and ultimately put our confidence in something higher, which is the absolute sovereignty of a perfectly loving and wise God (Exhibit A of this for me is the life of Job). “To ask whether the universe as we see it looks more like the work of a wise and good Creator or the work of chance, indifference, or malevolence, is to omit from the outset all the relevant factors in the religious problem. Christianity is not the conclusion of a philosophical debate on the origins of the universe: it is a catastrophic historical event following on the long spiritual preparation of humanity which I have described. It is not a system into which we have to fit the awkward fact of pain: it is itself one of the awkward facts which have to be fitted into any system we make. In a sense, it creates, rather than solves, the problem of pain, for pain would be no problem unless, side by side with our daily experience of this painful world, we had received what we think a good assurance that ultimate reality is righteous and loving” (21). Here are my top five books of this year. All are excellent in their own way, but I’ve ordered them with the ones I consider the most widely helpful and applicable at the top. 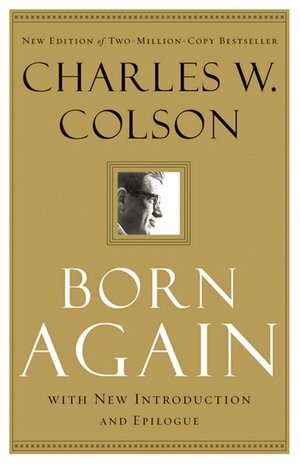 Before he was “born again” by putting his faith in Christ, Charles Colson was Special Counsel to President Nixon and known as Nixon’s “hatchet man,” “incapable of humanitarian thoughts” and willing to do anything to get the job done. With the Watergate scandal, Colson fell from the summit of power to the depths of nationally-televised trials, a conviction, and seven months in prison. This experience showed him the emptiness of power, revealed his ugly pride, and opened his heart to a new and infinitely better boss: Jesus Christ. This candid, moving, and powerful autobiography takes the reader into the smoke-filled rooms where Nixon men schemed of ways to destroy their opponents, through the heady days of Watergate, and illustrates the power of the Gospel to transform one’s life in ways nobody thought possible. 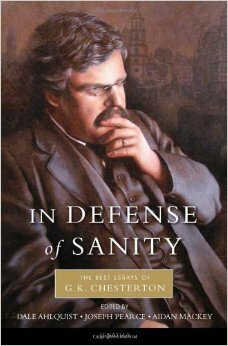 Don’t mind the ugly cover; this book is an excellently reasoned guide to thinking about politics from a Christian perspective. 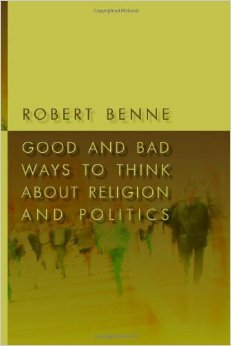 Benne rejects what he sees as two wrong ways to relate religion and politics: “separationism” and “fusionism.” The first would have Christians reject all political engagement, and the second fuses religion and politics in an unwarranted manner that ends up distorting both. He offers a better way: a helpful framework for discerning how the Christian faith informs political stances and involvement. This is a helpful read for those who are wary of the use of Christianity by politicians and political parties who are more interested in scoring political points than being faithful to the teachings of religion. It is also good that Benne does not say what positions Christians should hold on specific issues, though he does use a few, such as abortion, as examples for his framework. 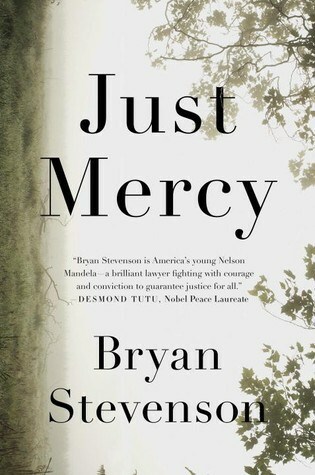 In this book Stevenson, an attorney who runs a non-profit legal defense group in Montgomery, Alabama, shares how he went from a directionless Harvard Law student who didn’t connect with his studies to becoming a passionate defender of the poor and disadvantaged whose lives are being stolen, and for some, threatened by an electric chair, by a broken criminal justice system. The people Stevenson represents are typically poor, uneducated, and often with disabilities, many of whom don’t receive the attention and care necessary to address the struggles they face. Full of harrowing real-life stories, Just Mercy is eye-opening, infuriating, tragic, yet ultimately hopeful. And if you pick it up, make sure you keep some tissues with you. As those who know him say, there is probably no one who has thought more about the relationship between the Gospel and productivity than Matt, and I think this book proves it. He first lays out the theological basis for caring about productivity, arguing that real productivity is not just getting things done, but getting the right things done. Christians are called to be rich in “good works,” which means we should seek to be productive not only because this brings glory to God, but also because our good works and effectiveness in doing them blesses our family, friends, or co-workers. 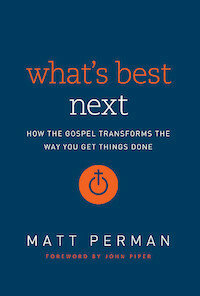 Beyond being theologically sharp, Matt is full of practical advice, showing through his example and that of others who’ve written on productivity and management how to create a “life vision,” set goals, plan out your week, process e-mail, and so much more. Want to start the new year with a bang? Do yourself a favor and get this book! 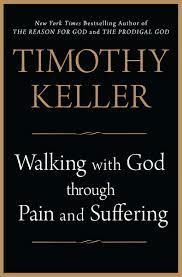 In his characteristically thoughtful way, Tim Keller, who is the pastor of a large church in Manhattan, tackles the subject of suffering and offers biblical counsel on how to “walk with God” through trials and suffering. 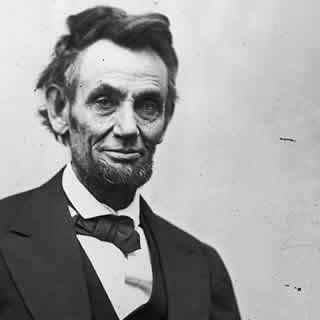 He begins by showing how our modern culture fails to see the uses of suffering that many in ages past recognized, resulting in inadequate ways of dealing with suffering. Keller then looks at the various reasons for and types of suffering (if you’re in the middle of suffering and just really need a hug, skip the entire first half of this book), and then shows us how the Bible depicts suffering and offers examples, such as Job, of how we can respond to and redeem our suffering. The biblical answer, as he describes, is compelling, in that it tells us to not ignore or run away from our suffering, but to trust the God who knows our pain and walk through the suffering as we talk to God (prayer) and hold him by the hand.